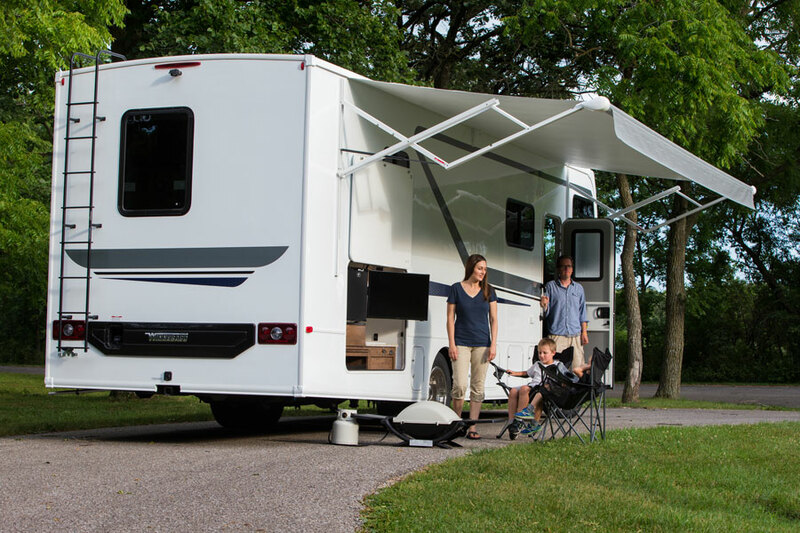 Are you thinking of buying an RV or a recreational vehicle? Then the very first thing you have to decide is to which RV can suit the best to you? Yes, there are actually different types of models and variations with different styles and one can choose the one best suitable for them. When one looks for RV towing services they can find that there are some major RV’s which are motorised like Class A, Class B and Class C motor homes. Then there are Travel Trailers, Truck Campers and Pop up Trailers. Here are the detailed versions of those categories which one can have a look and then decide on what to buy. This is very big in size and of course high on luxury as well. But these motor homes are also very expensive. They have slides on the sides and have engines which run by the diesel or gas. If you are addicted to short and weekend trips then this thing is the perfect one for you. This actually gives you the feeling as if you are at home as it has complete kitchen, living rooms, flat screen television, dryers, king sized beds and some slide puts to expand the living area when one finds a proper parking. But it do comes with a huge price tag and it also has some high maintenance cost. Too narrow roads are not for this RV so one has to keep this in mind while travelling. This is also known as the van camper. It has a raised roof and they are smaller and at the same tome very easy to drive. But these motor homes are also not with an easy price tag as they are also quite expensive. These RV’s are self contained and have very comfortable sleeping facilities. They are very comfortable when it comes to the size of the vehicle and drivability of it. But the only problem is it is good for maximum 2 people. So if you have a proper family, then it is not good for you. They are almost as luxurious as Class A motor homes. But they are definitely smaller in scale. These motor homes are mainly built on a truck or a van chassis and have some slide outs to make it more spacious. This is a perfect vehicle for the families when they are thinking of weekend trips or longer vacations. This is the longest one and it has a lot of living space in it. It also has a bi level floor plan. This is mainly perfect for those who stays mostly on the road and are on permanent vacation. They have easy towing spaces and also come with a reasonable price tag. They have a low cost and many size options are available and one can pick their own choice. Best RV tow vehicle can also be a POP up vehicle and a truck camper.